Patterned after the United States, Mexico is a federal republic, representative and democratic, composed of thirty-two free and sovereign states in matters regarding their internal regime but united in a federation pursuant to the Federal Constitution. The “Supreme Power of the Federation” is divided into three branches: the Legislative, the Executive and the Judicial. I. Federal Constitution: It includes economic, cultural and social basic rights of the Mexican people and calls for a federal government that takes an active role in promoting those rights. II. General laws and international treaties. III. Local and general regulations. The difference between common and civil legal traditions lies in the main source of law. Although common-law systems make extensive use of statutes, judicial cases are regarded as the most important source of law, which gives judges an active role in developing rules. In civil-law systems, by contrast, codes and statutes are designed to cover all eventualities and judges have a more limited role of applying the law to the case at hand. 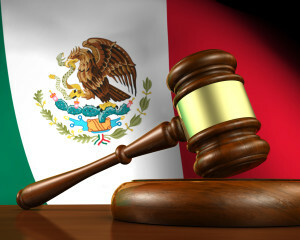 The court structure of Mexico’s legal system system is similar to that in the United States. In each state there are trial and appellate courts. The federal level includes trial courts, circuit courts of appeal, and a Supreme Court. However, it is important to say that the role of the courts in a civil law system such as Mexico’s differs from the role of courts in a common law system. In a civil law system, attorneys and judges look to sets of codes in which statutes are set down as their primary source of law. In contrast, in a common law system, attorneys and judges rely on statutes and rules of law and their interpretation as they are set down in prior-written court opinions. Additionally, Mexico has an extraordinary challenge mechanism known as “Amparo”, which is a constitutional control. Its purpose is to solve existent controversies from laws or acts of authority which violate individual rights, laws or acts of federal authority which restraint the States sovereignty, and laws or acts of the States which invade Federal Authority. Foreign Direct Investment (FDI) is allowed in almost all areas of the economy, up to 100% investment. The exclusions are only by express provision, and typically involve state services. The energy, telecommunications, labor, financial and education sectors have undergone sweeping reforms aimed at improving the country’s competitiveness. Since 2014, the government of President Enrique Peña Nieto has continued to advance its structural reform agenda, which now includes private investment in the energy and electricity areas, among others. The Government has also been planning to create new industrial centers in under developed areas, which could encourage FDI (Foreign Direct Investment) and provide incentives. Substantial infrastructure development is needed and will attract foreign investors. According to a report by the International Monetary Fund, the exploitation of hydrocarbon reserves will require investment of USD$40 Billion annually during 2015-2019 which presents a considerable opportunity for investment in that sector, and all related infrastructure works, including services, in the near future. The business climate in Mexico has improved and the country is ranked a respectable 38th in the World Bank report entitled: 2016 Doing Business. *The Greater the Index, the More Transparent the Conditions of Transactions. **The Greater the Index, the More the Manager is Personally Responsible. *** The Greater the Index, the Easier it Will Be For Shareholders to Take Legal Action. **** The Greater the Index, the Higher the Level of Investor Protection. The Mexican Government has taken on substantial economic reforms that aim to help attract foreign investment in all sectors, including manufacturing and distribution which makes Mexico a lucrative option if you are looking to move operations off shore. 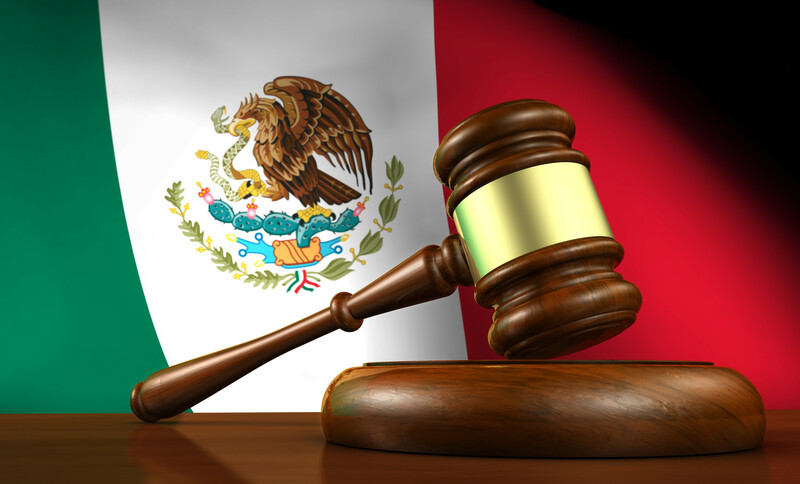 Mexico’s legal system provides a legal environment for foreign investors that is stable, safe and transparent. Mexico’s legal system coupled with a favorable exchange rate and operating costs that are now competitive with China make investment in Mexico even that much more attractive. Of course, as with any investment off-shore, it is highly recommended that investors utilize experts who not only speak the language, but understand the Mexican culture and how to do business in Mexico. To stay abreast of articles on Mexico as a business partner investment consideration, please subscribe to the Group50 blog below or go to here to see all of our previous blog postings on the topic of Mexico and its cost effectiveness. If you want to find out more about the possibilities, call Group50 at (909) 949-9083, email us at info@group50.com or request more information here. About the Author: Judith A. Wilson is a Partner in the law firm of Bryan, Gonzalez Vargas & Gonzalez Baz, S.C. managing the firm’s Tijuana, Mexicali and San Diego offices. She has over 25 years of experience in the representation of mainly foreign companies, both public and private, investing and doing business in Mexico. She has extensive expertise in cross-border issues related to Mexican foreign investment, trade, government affairs, real estate and commercial transactions. Ms. Wilson is licensed to practice law in all of the states of Mexico as a licensed attorney with the National Registry of Professionals and has serviced the Mexican operations of the firm’s American, Asian and European clients. She is a frequent speaker on matters of Mexican law. About Group50: Group50’s Global Initiatives practice works closely with clients to be able to understand how doing business in Mexico can significantly improve their operational costs, lower working capital and improve supply chain responsiveness. We utilize experts such as Judith A. Wilson, to ensure that our recommendations are optimized for the client’s needs. Group50 focuses on Manufacturing, Distribution and Supply Chain optimization using our “Total Cost of Ownership” playbook. We use seasoned operating professionals who understand how to create and implement strategies throughout any business.